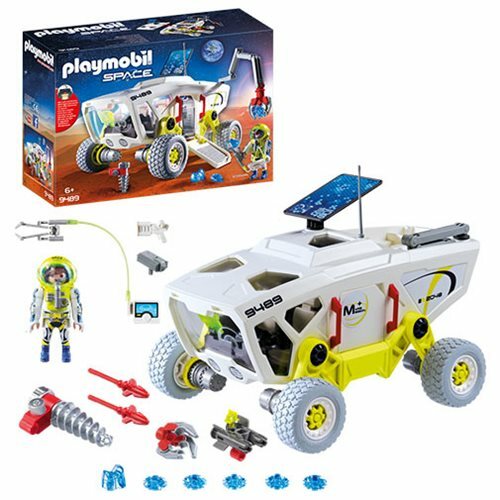 Take the Playmobil 9489 Mars Research Vehicle out for a spin on the red planet! This quad comes with various equipment for examining the surface of Mars. The tool arm comes with interchangeable attachments - a gripper, drill bit and defense mechanisms. Includes functioning lights and sounds (2 x "AAA" batteries required.) Includes 1 figure, blue mars rocks, drill, rover, and other explorer gear.